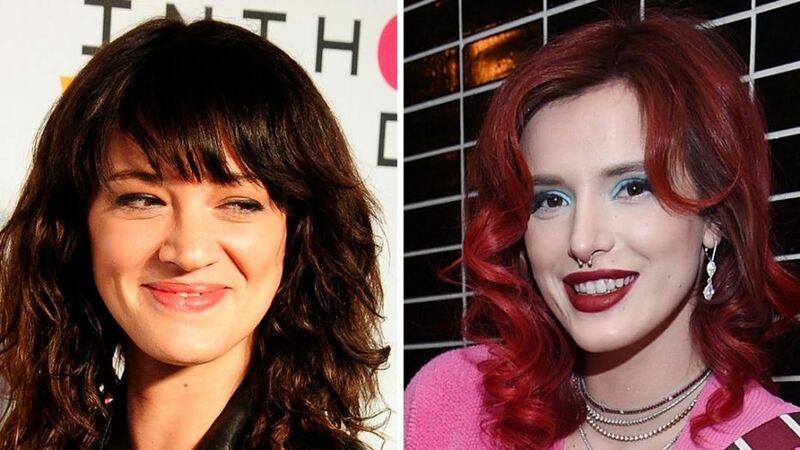 Bella Thorne declared on Wednesday she no longer wants to be part of the #MeToo movement after Asia Argento claimed then-17-year-old Jimmy Bennett "sexually assaulted her" — a sharp twist from the allegations he made against her last month. "I'm disgusted. No longer want to be apart of the #metoo moment," Thorne, 20, tweeted. "Jimmy was a young kid. This is gross." The former Disney actress added that, "If this is what the me too movement is going to be about now I'm not here for it. ... Victim shaming. Just awful." Thorne joined the anti-sexual harassment and assault movement in January when said she was "sexually abused and physically growing up from the day I can remember till I was 14." 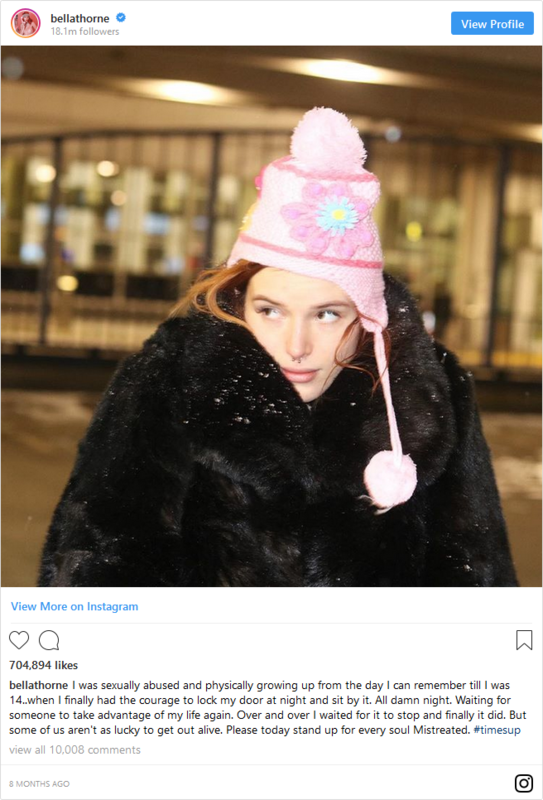 "Over and over I waited for it to stop and finally it did," Thorne said in the Instagram post. "But some of us aren’t as lucky to get out alive. Please today stand up for every soul Mistreated. #timesup." Thorne on Wednesday linked out to a Deadline report in which Argento, 42, disputed Bennett's claims that he sexually assaulted her when he was 17 years old in 2013. He alleged the two had a sexual encounter in a hotel room in California, where the legal age of consent is 18. Bennett, TMZ reported on Wednesday, plans to file a sexual assault report with the L.A. County Sheriff's Department following a statement from Argento's lawyer that said Bennett attacked her, and that she intends to start the #MeToo movement's "Phase Two." His lawyer told the news outlet "the attack on my client's character has no bearing on the events that took place on May 9, 2013. These are statements that are meant to intimidate, shame and insult my client." Argento — one of the first prominent women to accuse Harvey Weinstein of sexual assault — denied the allegations initially, and said that her late boyfriend Anthony Bourdain paid Bennett, now 22, because the two considered him "dangerous" after he asked for financial help. Following Argento's denial, a photo of her and Bennett laying in bed seemingly naked together appeared online — and soon after that a series of text messages in which Argento allegedly admitted to a sexual encounter with a minor were handed over to investigators. Thorne has gotten so quirky that she is beginning to lose her attractiveness..
She is.. I think its that wig.. I support her position on this. That takes courage to say.